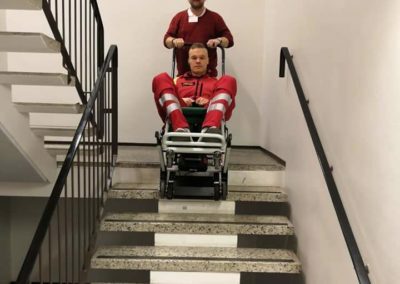 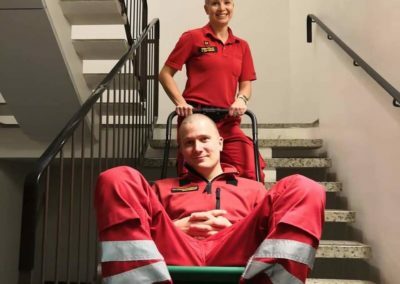 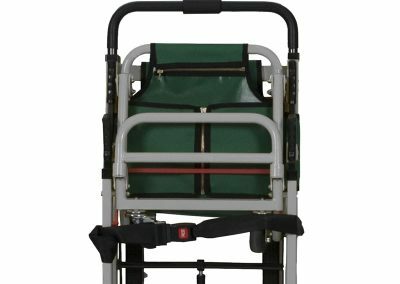 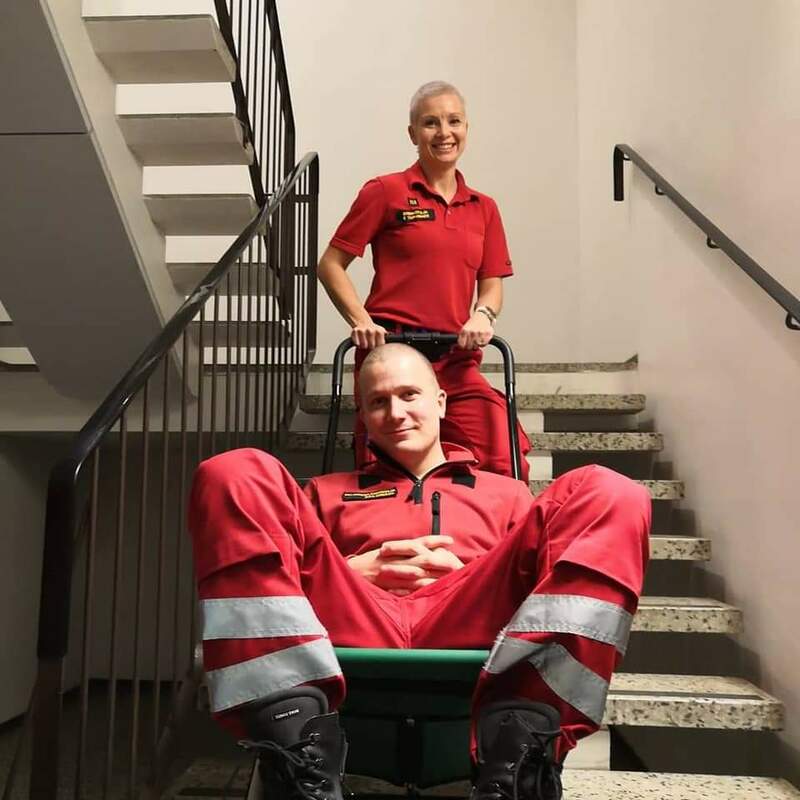 This model has been especially designed to provide you with powered battery support for evacuating or rescuing people both down or up the stairs. 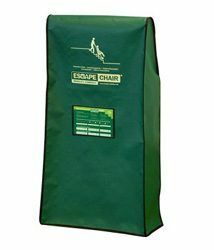 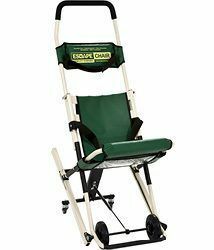 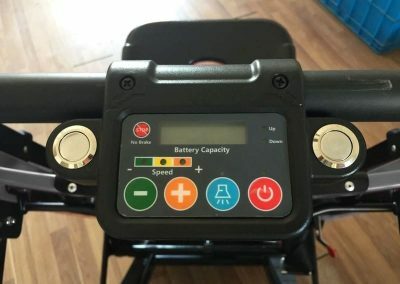 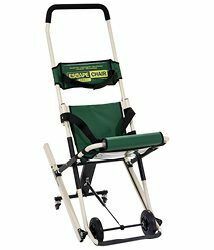 The Escape-Chair® VOLT is powered by battery and has an easy to understand control panel with display that is located on the operating handle. 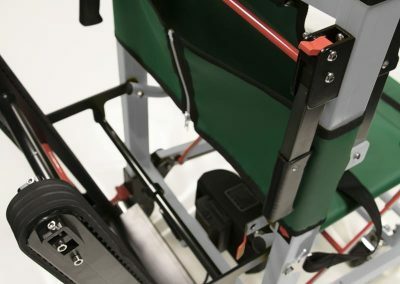 After unfolding the Escape-Chair® VOLT it is immediately ready to use. 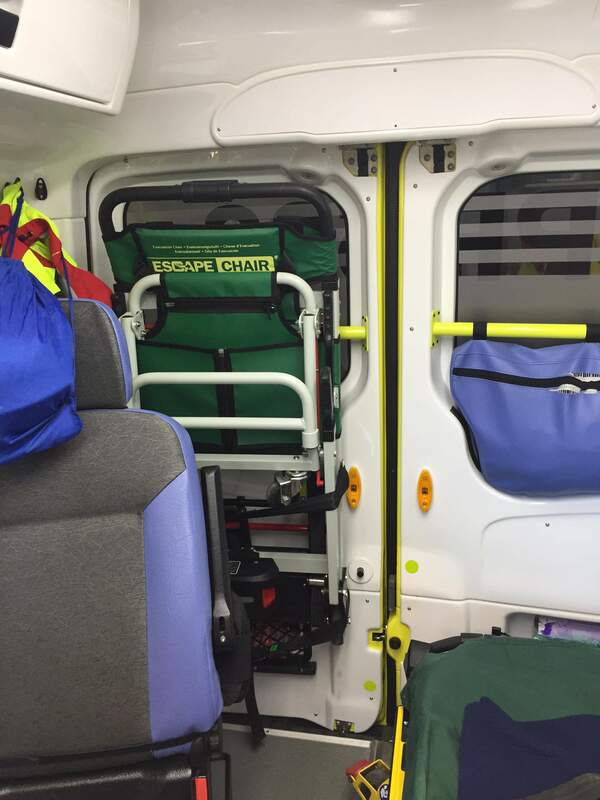 Can be operated by just one person by simply pushing the operating handle down in the direction of the stairs. 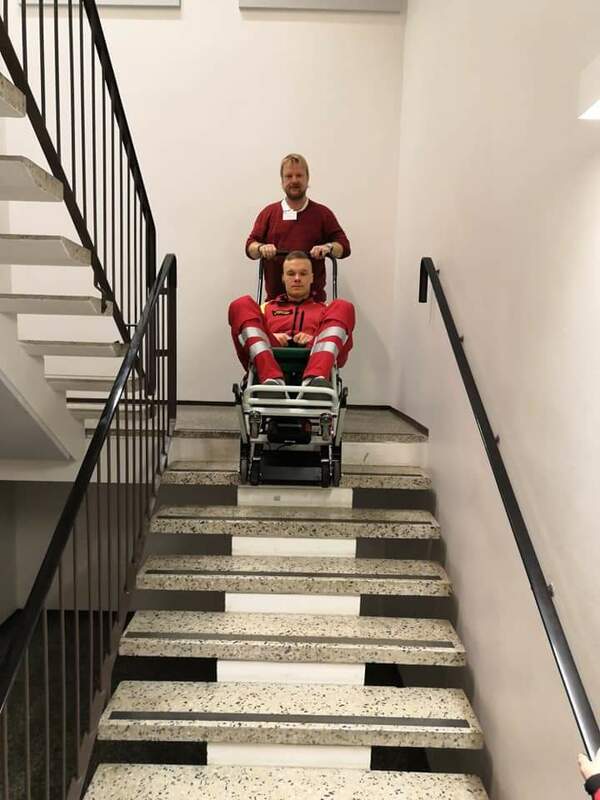 The answer to solving your mobility problem. 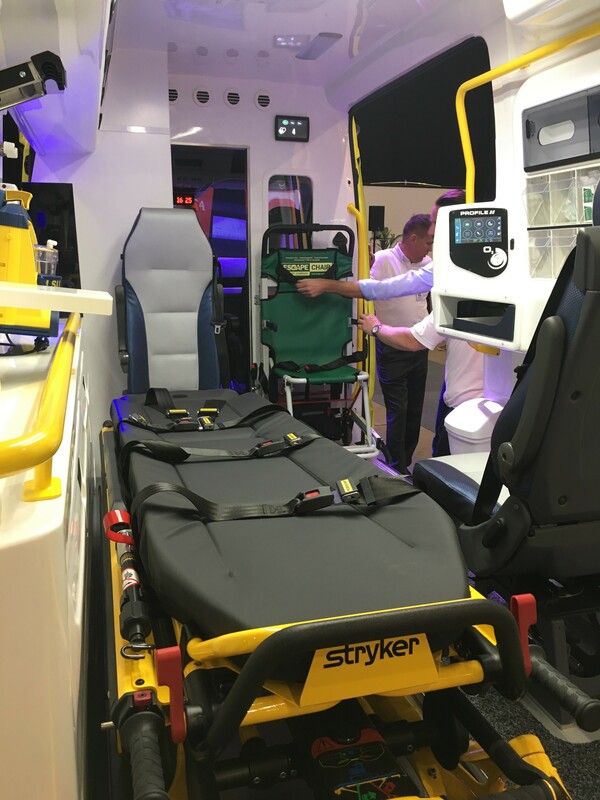 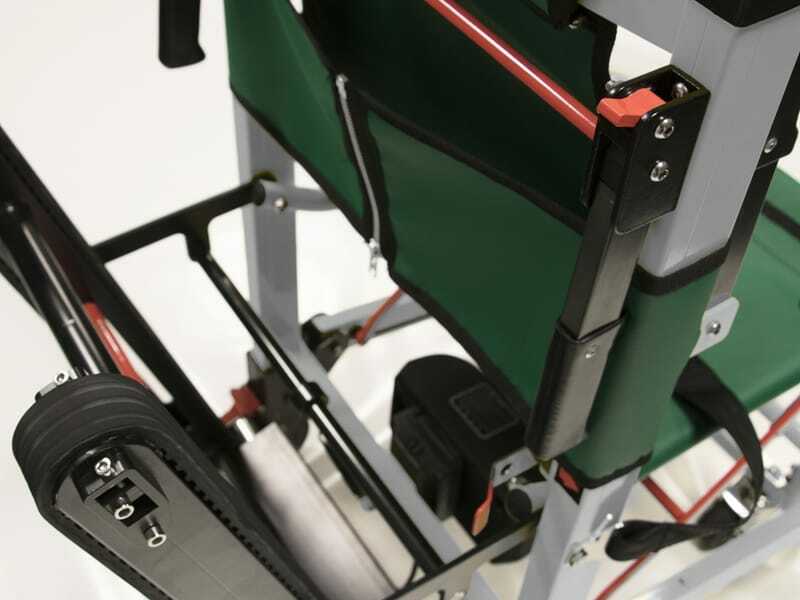 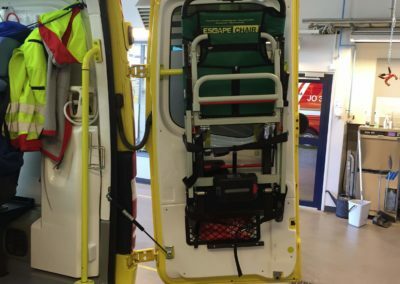 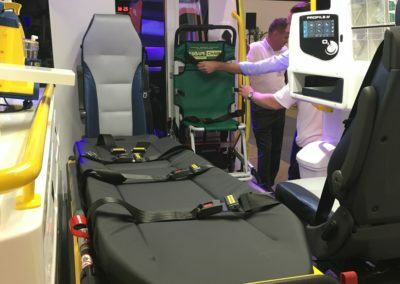 The Escape-Chair® Volt is the perfect daily solution for your mobility problem in a healthcare environment, rescue environment or public building. 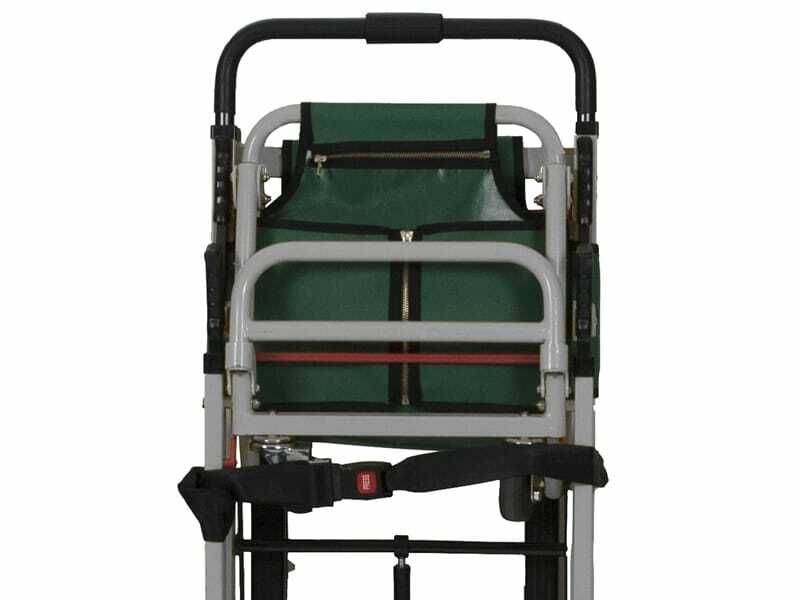 • Powered support: going up the stairs is easy for operator. 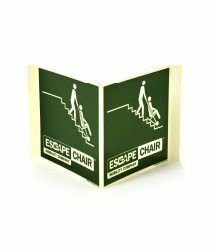 • Ideal for quick evacuation (3 speed descent). 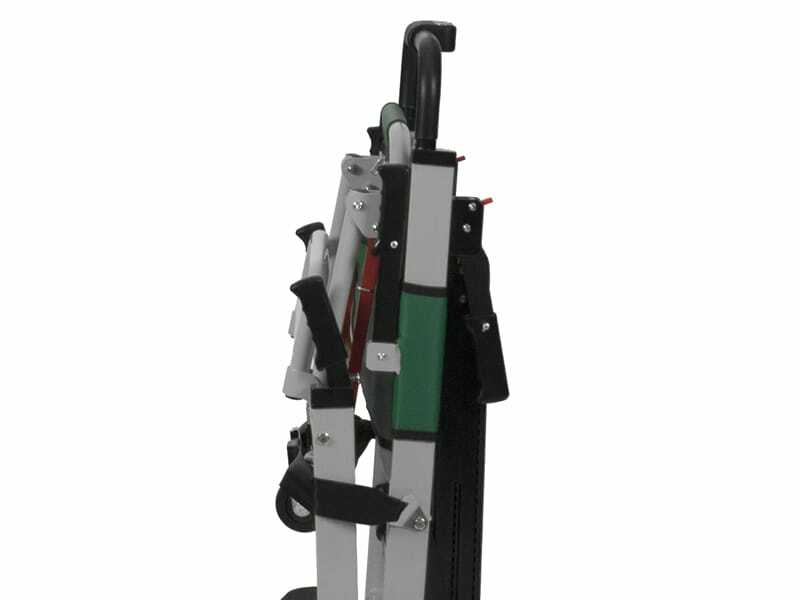 • Lithium cell enough for up/down 100 floors. 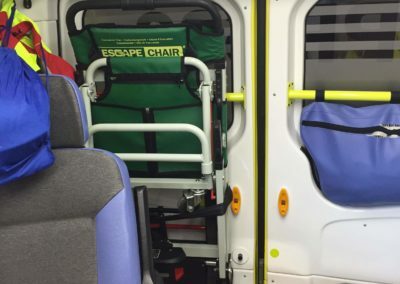 • Ready for use within seconds. 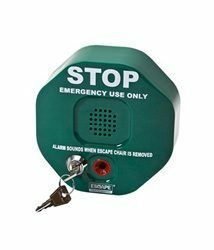 • Easy to use and operate (wireless). 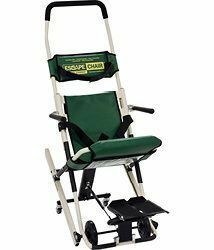 • Equipped with arm- and footrest. 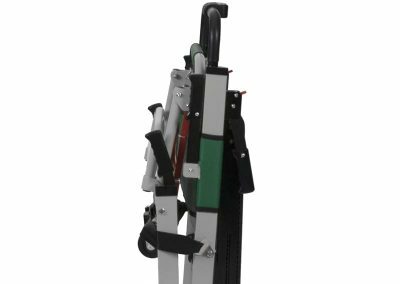 • 3 height adjustable operating handle. 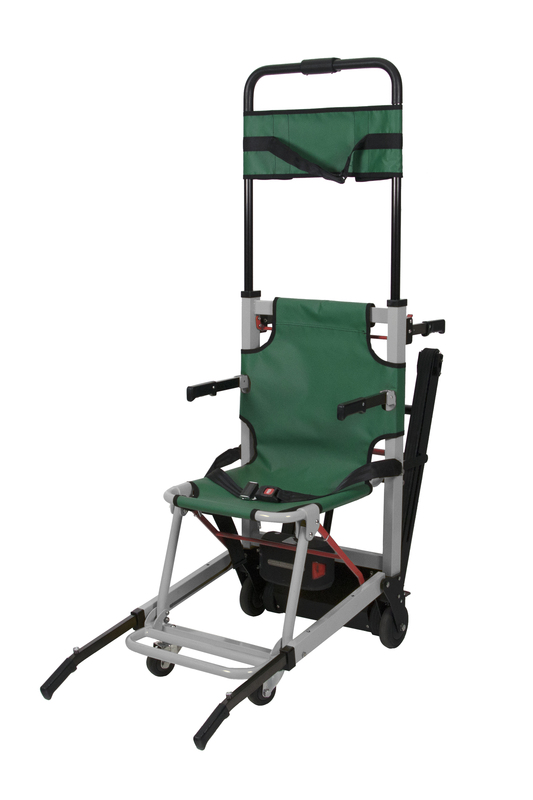 • Flame & heat resistant seat, headrest and dust cover. 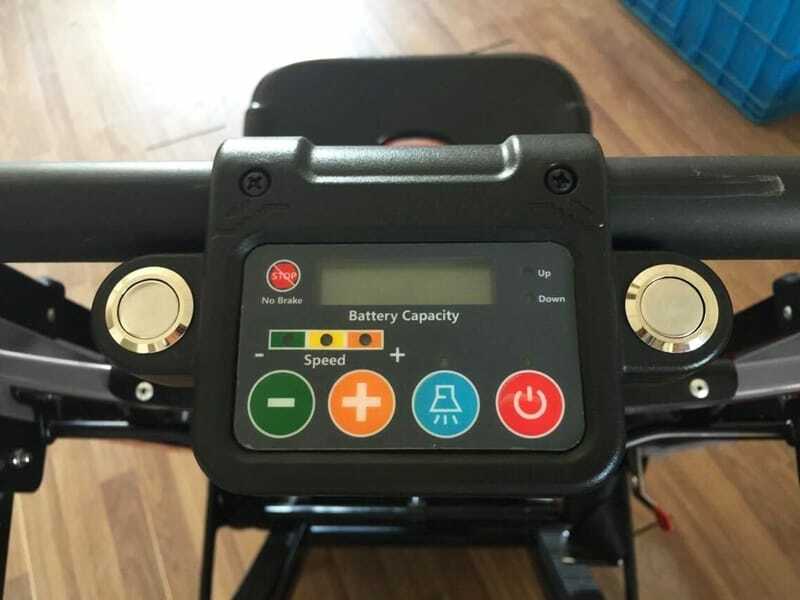 • Battery indicator on display control panel. 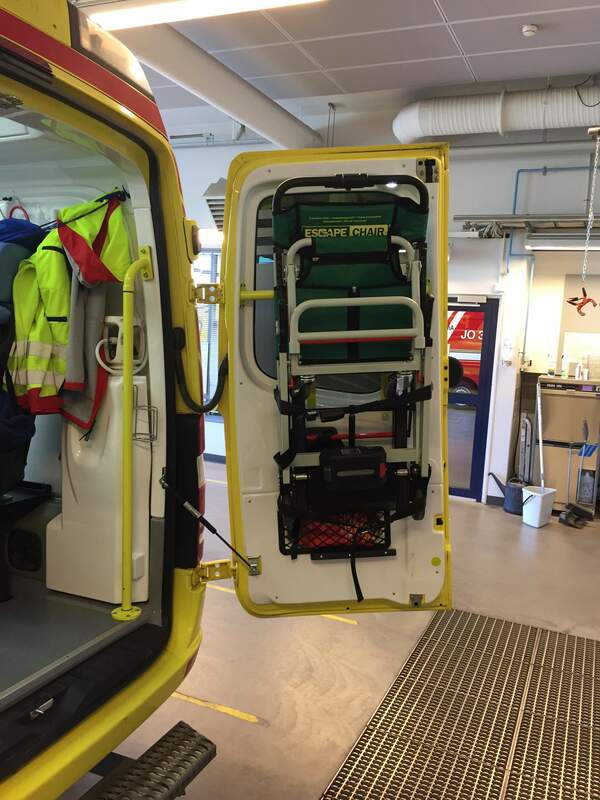 • LED light for dark environment evacuation.